By John S. C. Abbott. 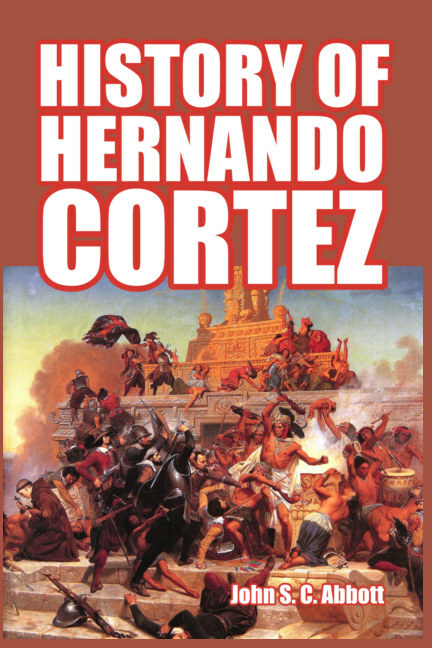 A masterful retelling of the incredible story of the conquest of the Aztec Empire by a handful of Spaniard Conquistadors, assisted by their far more numerous Indian allies, under the leadership of Hernando Cortez. Starting with Cortez’s family background, master storyteller John Abbott sketches the path of the young adventurer—sparing no details of the less pleasant aspects of his personality—to the time of his landing at Hispaniola (present-day Cuba) in the New World in 1518. From there, the adventure really begins, when he is appointed captain of an expedition to the mainland, his continual clashes with the Spanish colonial authorities notwithstanding. His expedition, which set off against the direct orders of the authorities, landed on the coast of present-day Mexico, and, after skillfully—but often deceptively—allying himself with the local Indian tribes who had suffered grievously under the murderous and cannibalistic reign of terror instituted by the Aztecs, he then marched on the great city of Tenochtitlan, center of the Aztec Empire. What makes the telling of this story more valuable than most is the author’s ability to continually posit the actions of Spaniards, Aztecs and local Indian tribes into the moral and practical conditions of the time—which, as the writer points out, are quite different to those of today. The astonishing tale includes accounts of the brutal behavior of the Conquistadors, the shocking bloodlust of the Aztecs, the cannibalism of Cortez’s Indian allies, and the advanced technological level of Aztec society. 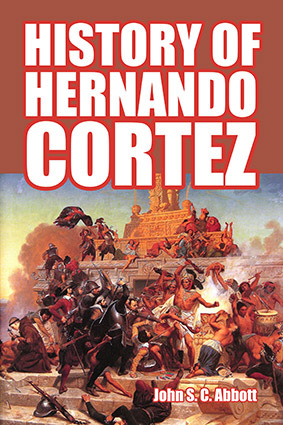 The final battle—and the resultant destruction of Tenochtitlan (and its conversion into present-day Mexico City) was not however the grand finale to Cortez’s adventures. His triumphant return to Spain, his falling out with the queen of that nation, his return to the New World, and his death are all covered in this highly readable and satisfying biography. About the author: John S. C. Abbott (1805–1877) was an American historian, pastor, and writer. He and his brother, Jacob, were some of the most prolific popular history writers of their era, and together produced dozens of works for their New York City based Abbott’s Institute of Historical Biographies. Although trained as a theologian, John’s success as a writer—which closely matched that of his brother—meant that he devoted most of his life to the written word.